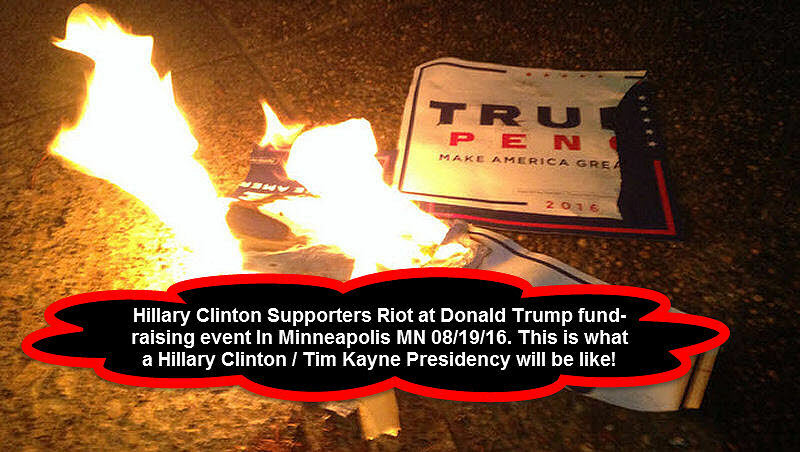 Activists rioted and brutally attacked attendees at this Donald Trump presidential campaign fundraiser event last night in Minneapolis MO. Attendees were brutally kicked and punched by out of control leftist activists shouting racial hate slurs and burning our American flag. Folks – this is a good example of what our country will be like under a Hillary Clinton / Tim Kaine presidency. There is absolutely NO Law And Order Here. Near rioting, physical assault on innocent bystanders just wanting to exercise their freedom of choice to attend this Donald Trump benefit fundraiser. Video shows dozens of anti-Trump activists shouting obscenities and throwing debris as they surround Donald Trump supporters attempting to exit the Minneapolis Convention Center. Trump fundraiser attendees attempting to exit the building were forced through a gauntlet of punches, with one protester seen violently attacking an elderly man as another man and a woman caught the brunt of the brutal beating. Some attendees attempting to leave the event were also spit on as they left the ­convention center. This is exactly what a Hillary Clinton / Tim Kayne Presidency will be like – you’re getting a sneak peak to think about who you should be voting for. If Crooked Hillary becomes president – many have said America will erupt into it’s Second Civil War. Lets hope and pray Trump wins and reverses the 8 year destructive reign of Barack Obama and Hillary Clinton’s Damage to America! If you love your country Vote for Donald Trump and Mike Pence. Donald Trump will restore law and order, bring much needed jobs back to America. 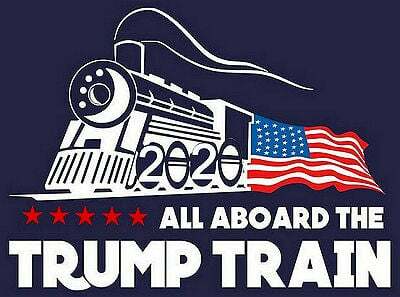 He Loves America and is Our Only Hope to save whats left of America after Barack Obama and Hillary Clinton destroyed it! In a previously little-noticed video from February at the Clinton Global Initiative, former President Bill Clinton suggested that the U.S. use Syrian refugees to rebuild Detroit. The truth is that the big loser in this over the long run is going to be Syria. This is an enormous opportunity for Americans,” Bill Clinton said about the Syrian migrant crisis. It is unclear from the video why Clinton seems to think it would be better to fill these Detroit jobs with imported foreign migrants rather than unemployed Americans already living there, who could perhaps benefit from good-paying jobs. This is a great example of what America will be like with Hillary Clinton as president.